SCIENTISTS seeking evidence of anti-matter in space claim to have stumbled across a previously unknown “invisible life form” here on Earth, which alarmingly could be SPYING on us. Thunder Energies Corporation, an optics, nuclear physics and energy company, claims to have detected “invisible entities” living in Earth’s atmosphere. The corporation is run by controversial Harvard-educated Italian-American nuclear physicist Dr Ruggero Santilli. He is dismissed by many mainstream scientists as a “fringe scientist” but he has in turn branded the rejection of his work as a conspiracy against “novel science” which often conflicts with established thinking, such as Einstein’s theory of relativity. The nuclear physicist says the discovery was made using the Santilli Telescope he has developed to try to discover proof of theoretical anti-matter galaxies, anti-matter cosmic rays and anti-matter asteroids. The research team even fears the previously unknown micro-lifeforms may be carrying out covert surveillance on Earth because of where they have been found. His telescope is still pending a trade mark and patent, but Mr Santilli is convinced it has been able to pick up a life form which cannot be seen by the naked eye. He said: “This is an exciting discovery. We do not know what these entities are, they’re completely invisible to our eyes, our binoculars, or traditional Galileo telescopes, but these objects are fully visible in cameras attached to our Santilli telescope. “Since the dawn of our civilisation, all the way to the time of this breaking news, we humans have believed that everything that exists up there is only what we can see with our eyes and with our optical instruments. 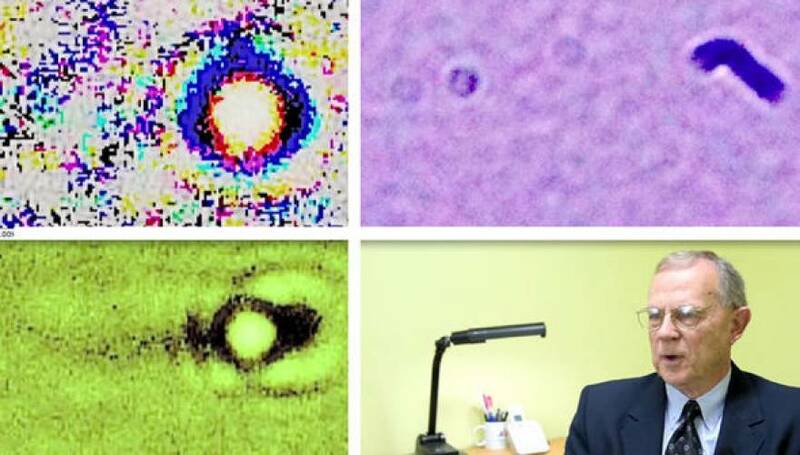 Santilli claims to have detected “at least two types” of Invisible Terrestrial Entities (ITEs) – dark, which leave a dark image in a bright background of a digital cam attached to the telescope, and bright ITEs which do the opposite. He claims the findings, which were published as “Apparent Detection via New Telescopes with Concave Lenses of Otherwise Invisible Terrestrial Entities (ITE),” in the American Journal of Modern Physics, have been “independently verified” by unnamed US astronomers. But in a video released by his corporation on YouTube, Dr Santilli gave his findings a more sinister twist. Dr George Gaines, president of the corporation, is also fully backing the research. He said: “What we have learned is reality is much bigger than we originally supposed. “Things we can see and things we can’t see with our eyes or standard telescopes.